Those pics were taken two weeks backs along Highway 132 in Mont-Joli Qc, 350km south-east of Quebec City. 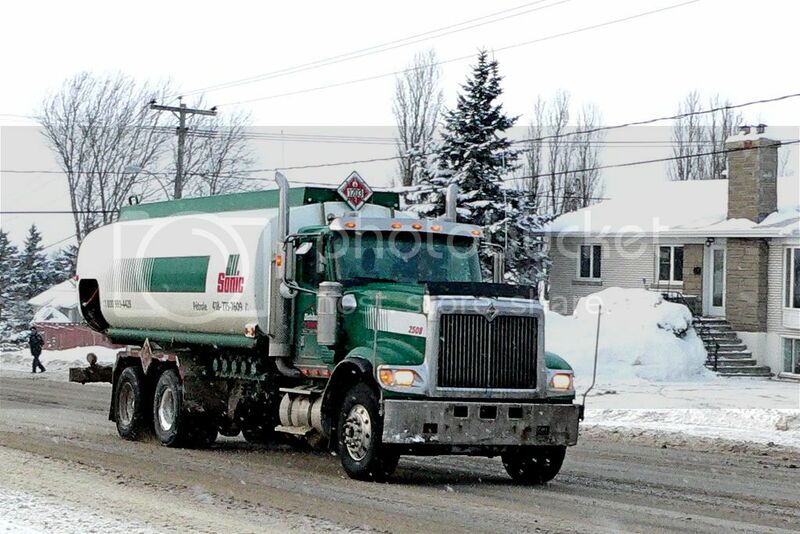 This Sterling twin steer milk hauler belong to Transport de la Matapedia from Causapscal. This fleet use to be all Western Star but when the Western star dealer have added Sterling a few years ago many Sterling have been sold in the area. Now the new owners will be caught with orphans. Sonic is the petroleum division of the giant Agricultural COOP in Quebec. Very interesting trucks! 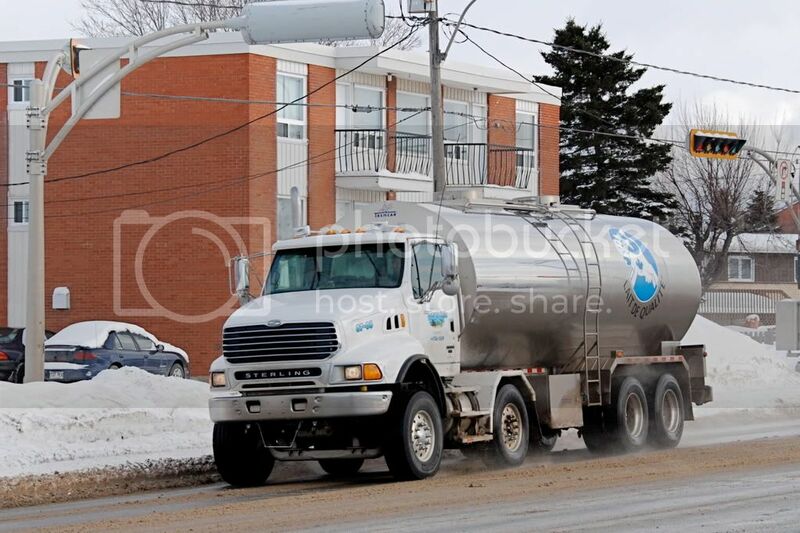 The twin steer milk truck looks cool, the tank looks quite a bit bigger than what we're used to seeing on milk tankers over here.